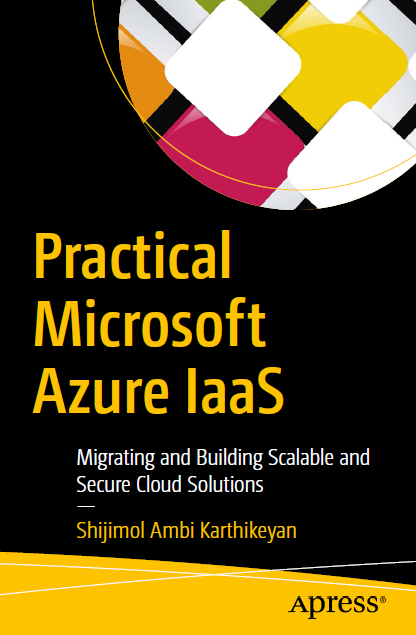 Microsoft team announced a new hands-on guide that has a focused and practical approach to IaaS Migration and helps you in migrating your On-premises legacy systems to Azure IaaS. Microsoft team recently announced a new Online course and certification "Microsoft Service Adoption Specialist" in partnership with EdX.org. 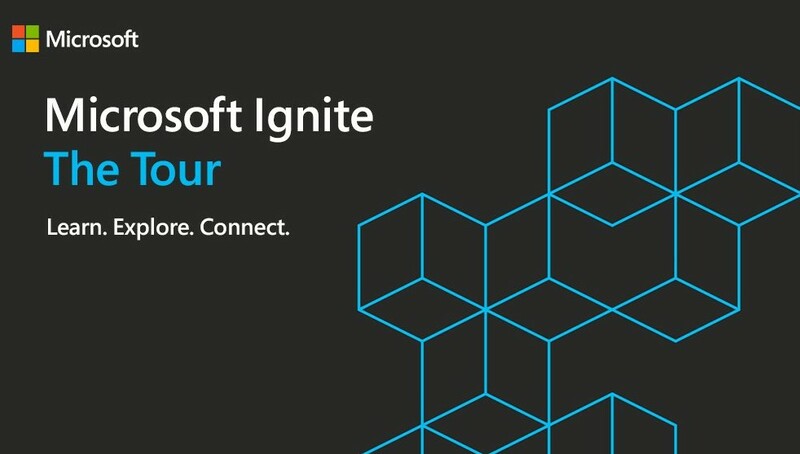 This course is focuses on six knowledge areas required to successfully drive the adoption of Microsoft services in your company. Mainly this course uses Microsoft Teams as an example throughout the material and provides you the required knowledge to drive a successful adoption of Microsoft Teams in your Organization. Drive adoption of Office 365 and Microsoft Teams for your organization as example workloads in a cloud service adoption strategy. Write a collaboration and communications service strategy. 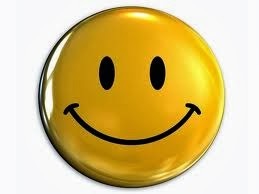 Utilize the Outcomes Matrix to quantify and select success measures. Structure early adopter and champion programs. Work with technical talent to ensure service readiness and quality. Configure scalable user feedback methods. 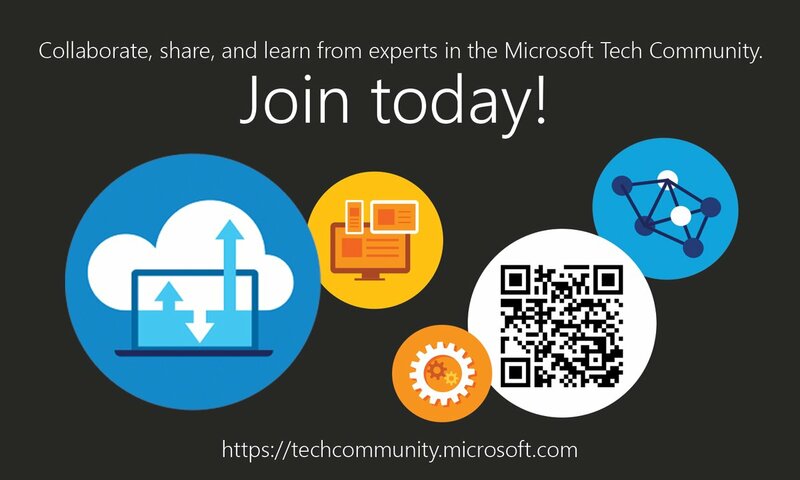 Join the Office 365 Champions Program today and be part of the community and share your knowledge and stay updated. 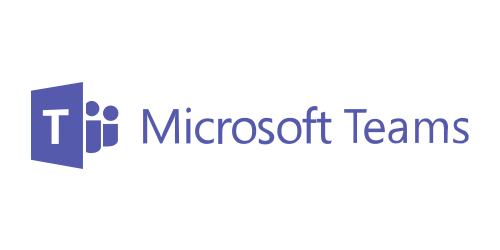 Microsoft Teams product group recently released additional readiness material for IT Pros to learn Microsoft teams, Conduct training and deliver workshops. Additionally you have a EdX.org course that helps you to enable Microsoft Teams on your Office 365 environment. Get yourself prepared for the new Microsoft Certification "Microsoft 365 Certified: Teamwork Administrator Associate" announced covering Microsoft Teams aligning with their new role based Certification path. 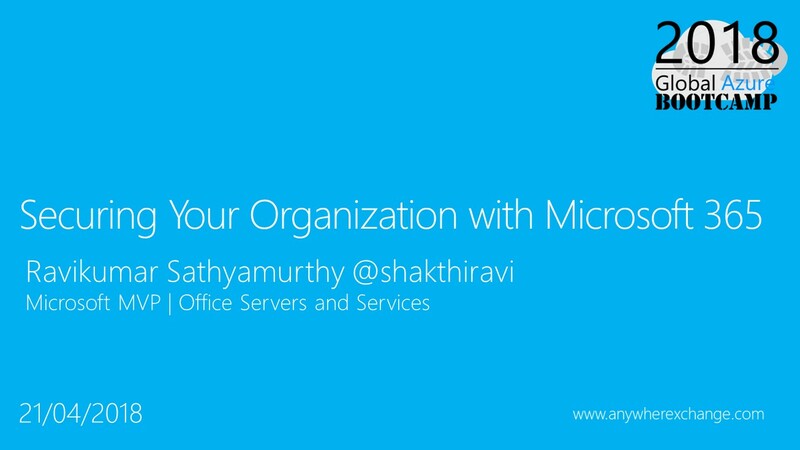 I recently delivered a session on SharePoint Saturday event in Chennai, India. 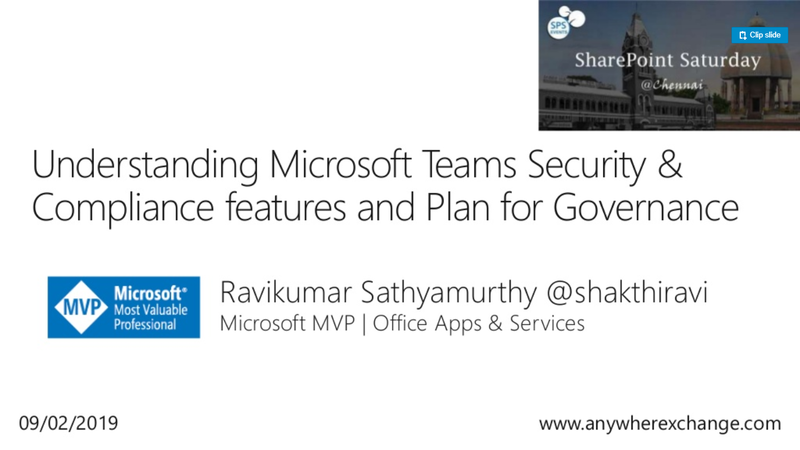 This session provides an Overview of Microsoft Teams and Primarily focus on the Security and Compliance features available with Microsoft Teams, and also show how you can plan for Governance in Teams. Exchange 2010 end of support is coming! Exchange server 2010 reaches its end of support on January 14, 2020. 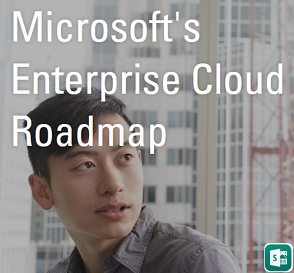 Microsoft team published official blog posts and updated customers to prepare for the end of support who are still running Exchange Server 2010. We have one year timeline to upgrade from Exchange Server 2010 Organization to latest supported version of Exchange Server On-premises or to Office 365 if your Organization is considering moving to Cloud before end of support date. Most of the Organizations started their upgrade journey and Organizations already using Hybrid deployment with Exchange Server 2010 and Office 365 started to upgrade their On-Premises environment to Exchange 2016. Organizations who are in middle of their Migration to Office 365 using Exchange Server 2010 can complete the migration before the support end date, and once the migration is completed either decommission the On-premises Environment or if the plan is to continue using long term hybrid then upgrade the On-premises servers to Exchange 2016. Exchange Server 2019 is now available and fewer Organizations are considering their move to 2019 post upgrading their existing 2010 environment to Supported version Exchange 2013 ( CU 21 ) or later and once the required system requirements for Exchange Server 2019 are met. "Learning is evergreen" and to show case your skills to the global audience "Certifications" plays a major role, and with the current evolution of the technology we have different roles to manage and having the right skills to perform these roles are essential, with this being said Microsoft team again made significant changes to their certification path to align to the specific job roles. You now have the next generation "Microsoft role-based certifications" available and also to support this new change, learning path is updated. As aforesaid now the learning path to obtain the New certifications are getting updated and you have a new one-stop resource for all your learning "Microsoft Learn" which will soon replace the "Microsoft Virtual Academy" and also you have other vital resources available in the community to help you reach your certification goals. 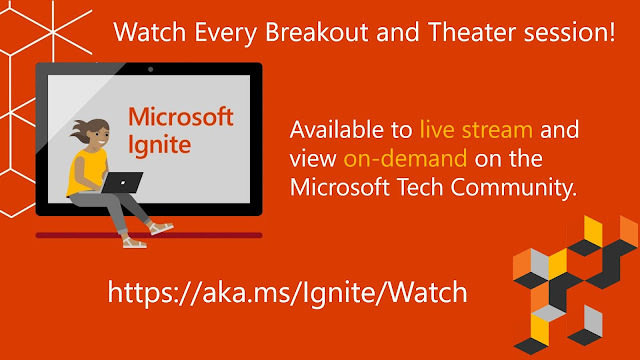 keep an eye on the "Microsoft Learning Blog" for latest updates. 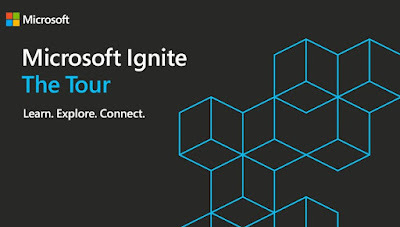 Microsoft Announced the release of of Exchange Server 2019, Skype for Business Server 2019, SharePoint Server 2019, and Project Server 2019. Commercial preview of the products were available from July 2018 and now they are generally available. Microsoft announced the general availability of Office 2019 during Microsoft Ignite 2018 and now the 2019 Server products reached GA for commercial customers.